The United States has more than 744 outdoor water parks with three or more slides, according to Hotel & Leisure Advisors. In Florida, most of the largest water parks are concentrated around the large theme parks, Disney, Universal, SeaWorld, Busch Gardens, and LEGOLAND, which all have their own water parks! If you’re looking for something less extravagant, or something more local, there are plenty of smaller (but just as exciting) parks to suit your needs. Adventure Island Water Park located in Tampa is part of the SeaWorld Parks & Entertainment including Busch Gardens. This fun water park includes a lazy river, wave pool, fun tube rides and water play areas. .
Aquatica is part of SeaWorlds Parks and Entertainment, located in Orlando Florida close to all the central Florida Attractions. What makes this water park different from the others is it's integration with marine life. Slide down a water slide through dolphins at Dolphin Plunge. Experience thrilling water slides, relaxing rivers, wondrous wave pools and unique animal encounters. Big Kahuna's offers over 40 attractions, from speed slides to tube rides to a wave pool and more. Castaway Island offers two interactive water playgrounds for children of all ages. Daytona Lagoon is Daytona Beach’s Premier Waterpark and Family Entertainment Center. Activities include The Lagoon Waterpark, Go-Karts, Miniature Golf, Lazer Tag, HUGE Arcade and Rock Wall. Disney's Blizzard Beach is a water theme park located at the Walt Disney World Resort in Bay Lake, Florida. The wintery scene is an exciting contrast to the heated water areas and water slides amidst the ski resort look. The only water park within the City of Miami, offering four pools, two slide pools, one for toddlers, one for older children and adults, a recreation pool and a lazy river, all ages can come and cool off in the summer months. 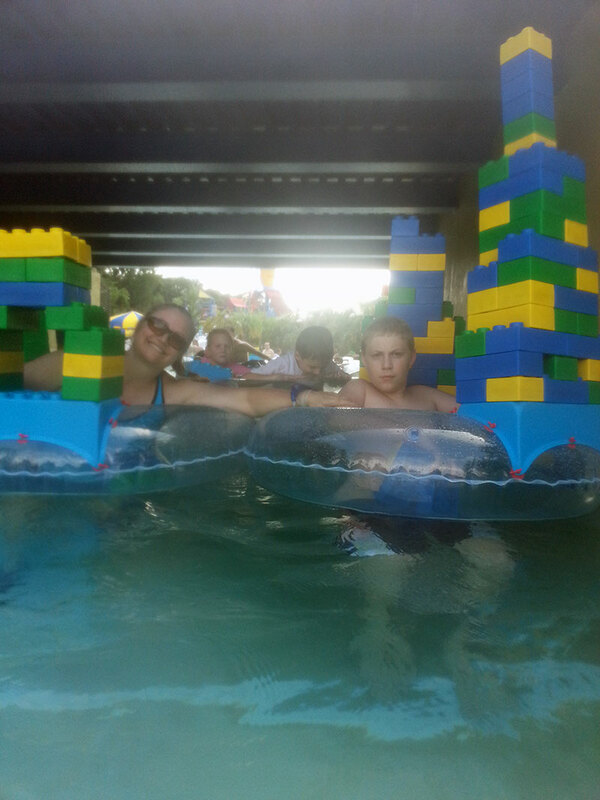 What better way to splash around and have fun in the water then with Legos! From the LEGO® wave pool to the Build-A-Raft lazy river, tube slides, body slides and interactive water-play structures -Joker Soaker and DUPLO® Safari you are sure to have fun! Rapids Water Park is a water park in Palm Beach, Florida that includes a wave pool, thirty-five water slides, including dual seven-story speed slides, and a quarter mile lazy river. Sam's Surf City is part of Sam's Fun City Park featuring water slides, an endless river, two kiddie interactive play pools and more. Shipwreck island in Panama City Beach features millions of gallons of water tipping, raging, zooming, splashing, and meandering, with slides, kiddy area, wavepool, lazy river and more. Located in Quiet Waters Park, Splash Adventure Water Park is an interactive children's water playground features a large childrens splash playground with slides and water play. Splash Harbour is located in Indian Harbour Beach and has something for everyone. With a splash zone, body slides, lazy river, and more. Sun Splash Family Water Park is 14 acres of water slides, pools and fun and is the largest waterpark in Southwest Florida. Features a River Tube Ride, fun and thrill slides, a kids play area and water activities for all. Disney's Typhoon Lagoon is a water theme park located at the Walt Disney World Resort in Lake Buena Vista in Orlando, Florida. It is one of two operating water parks at the resort and features a Surf Pool and the largest wave pool in North America. The exciting new Universal’s Volcano Bay™ water park opened in the Summer of 2017 featuring an all new concept in water parks with a gigantic volcano as it's central theme. The Krakatau™, the mighty Fire and Water Volcano towers 200 feet above the tropical landscape, streaming waterfalls during the day and fiery lava effects at night. Wet 'n Wild opened in 1977, and is considered to be the first major standalone water park. After 40 years of being one of the top water parks, the park closed on December 31, 2016. Universal Studios purchased the park with plans to renovate. Universal opened Volcano Bay Water park nearby and has not revealed the future for the Wet 'n Wild land.